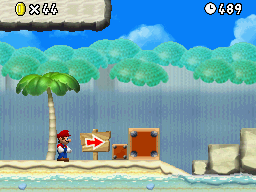 Special World will be like World Star from NSMB2. Well, here it is! The first development pic! Cool! You should put them in the first post since it's empty right now. Well, here's the first track for the new version of Newer Starshine. If you wanna listen to the old music, the playlist is still up on my channel. 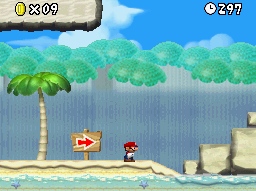 Anyway, this is the beach theme, which is Koopa Beach from Mario Kart 64! Your hack is really incredible. You tried hard on this. Can I help you with some designs if you want? I'm preparing the announcement trailer. It should be out soon enough! A bit late, (thanks to nsmbhd's double post bug) but here's the 2017 announcement trailer! Well, you can now apply to help out in some aspects of the hack! Check the main post for details. Well, 1-3's done! Time to begin 1-T! I am posting this due to the fact that I finished school yesterday! Development will go alot quicker now!! Can I help you with the levels? Well, things happen. Thankfully I will backup ALL the files securely so I don't lose it all. Sorry, levels are not one of the jobs that need to be done. That was worded so badly it sounds out of context. Please, write your posts in your mother language along with a translation so I and/or others can understand you better. And you should't quote the whole post above yours, especially if not even the entire post is relevant. First of all, new development pic! Secondly, welcome abord, Luzifer! I never intended to have any team members, but some extra help is always nice! Plus thanks to poudink for the NSMBU pipes rip! I didn't make them. Mario Silva did, tough I made the rest. I just linked it because I thought people might want to have the NSMBU pipes too.